Is Bitcoin a Digital Currency or a Virtual One? 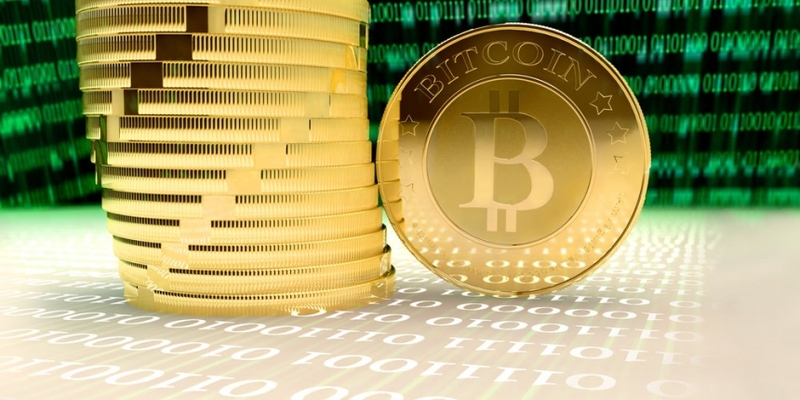 Is bitcoin a virtual currency, a digital currency, or both? And why does it matter? In press reports, it’s often referred to as both. The Bangkok Post today refers to “virtual currencies including the bitcoin”, while the Toronto Star describes the collapse of a bitcoin exchange after hackers stole its “digital currency”. But digital and virtual currencies are two different things, with different behaviours. It’s more than a semantic distinction: it’s a discussion of how a form of money functions. If we replace the word ‘currency’ with ‘economy’, then the distinction may be clearer. When we hear ‘digital economy’, then we generally think of money whizzing its way electronically around the world, and being used in real life interactions. If we say ‘virtual economy’, then the first thing that many of us will think of is Second Life, EVE Online, or World of Warcraft. Perhaps that’s why Peter Earle divides it into cryptocurrencies vs. ‘simulated’ or ‘game’ currencies. Earle is the chief economist at Humint, a marketing agency that is planning to launch altcoin services for brands, and also handles economies for multiplayer online games. “The main difference is that the latter are typically limited to use within a bounded, specified economic system,” he says. Virtual currencies may have value against real-world currency, but that doesn’t necessarily make them easily exchangeable. Gold in World of Warcraft is generally exchanged mostly within the game.That isn’t to say that it doesn’t get traded with other currencies through third-party exchanges, but that isn’t its purpose. Instead, it oils the wheels for everything else that happens in the game, and that is its sole purpose. The same goes for Eve Online, which uses the ISK as its unit of exchange, or Second Life, which uses the Linden. There’s another key difference between in-game virtual currency, and a digital currency used extensively outside the boundaries of a virtual world: their usage. In online game worlds, the issuers of the currency are created for a specific purpose. Charles Hoskinson, cryptographer and co-founder of the Ethereum cryptocurrency framework, describes virtual currencies like these as “tokens”. They do this via a process known as gold farming, where banks of player-workers manually play games to accrue gold or other in-game currencies. This can then be exchanged for fiat currency: if people don’t want to spend time in the game earning their fortune, then they can buy their way in. But that’s a long way from making the currency properly and systematicallly exchangeable. However, these behaviours extend beyond mere in-game currencies, argues Wences Caseres, who founded mobile payments network Lemon, and who just launched a mobile wallet called Xapo. There is another type of asset with those characteristics, that is used in the real world: loyalty points. Like in-game currencies, these are issued by a central body. What we’ve been describing here are what Hoskinson refers to as three core characteristics of money. The first, exchangeability, involves the ability to switch something for a different currency. The second is the ability to act as a store of value, meaning that an asset will more or less hold its value over time without suffering from massive fluctuations. The third is to be a unit of account (usable widely, rather than to buy virtually-drafted broadswords and breastplates). Virtual currencies, as used in games, exhibit few of these characteristics, except maybe the ability to hold value. But what about bitcoin? What should we call bitcoin? Bitcoin is exchangeable, and it isn’t used just to keep a game or a loyalty points system running. So does that make it a digital currency, rather than a virtual one? CoinDesk generally describes it as such, but Hoskinson doesn’t agree. In fact, he doesn’t think it’s a currency at all. It is also working its way towards becoming a unit of account, in which it is used to price goods and services, and doesn’t need to be referenced against anything else for its value. This is the holy grail for a currency: if you can live your life using it, without worrying about having to transfer it to any other form of exchange, then you know it’s arrived. “Bitcoin is getting there, with about 15,000 products and services available, maybe more,” Hoskinson says. It also needs to be a store of value. so that value can be deposited in it, and then retrieved at a later date, while still having held that value, or at least decayed in value at a predictable rate. Bitcoin’s suitability here is open for debate. Although many advocates talk up its long-term value, bitcoin has jumped and plunged in value at various points over the last year. You wouldn’t want to store your life savings in it today, and even unit trust and ETF managers are saying that it isn’t yet a vehicle for retail investment. That’s certainly how some are classifying it. Finland recently decided that it was a commodity, and the Bank of England thinks that it looks rather similar to one, too. And Goldman Sachs doesn’t think it’s a currency either. This makes the case (at least for the time being) for cryptocurrencies to be in a class of their own – neither digital currencies, nor virtual. Once they strongly satisfy those three underlying standards for money, they could be technically considered currencies. The ‘crypto’ would simply be a subcategory. So, technically speaking, bitcoin could be described as a cryptocurrency. Or a digital currency in waiting. But for now, we’ll use ‘cryptocurrency’ and ‘digital currency’ interchangeably at CoinDesk. That’s easier to type than ‘crypto-proto-digital currency/commodity’.